For the average participant, being in the ‘act like an extravert’ condition was associated with more positive emotions (excited, lively and enthusiastic) than those reported in the calmer control group – both in the moment, and in retrospect, when looking back on the week. Compared with the second control condition, in which participants behaved naturally, benefit from extraverted behaviour was seen only retrospectively. On average, participants in the ‘act extraverted’ condition also felt greater momentary and retrospective authenticity. These benefits came without any adverse effects in terms of levels of tiredness or experience of negative emotion. ‘Thus,’ write the researchers, ‘the main effects of the intervention were wholly positive, and no costs of extraverted behaviour were detected for the average participant.’ The advantages were to a large extent mediated by participants acting more extraverted more often – though, interestingly, not by being in more social situations: ie, by changing the quality of their social interactions, not the quantity of them. But the story does not end there, because the researchers also looked specifically at the introverts in their sample to see whether the apparently cost-free positive benefits of the ‘act extraverted’ intervention also manifested for them. Although previous research has suggested that both introverts and extraverts alike benefit just the same from acting more extraverted, this was not the case here. First and unsurprisingly, introverts did not succeed in increasing their extraverted behaviour as much as other participants. And while the introverts in the ‘act like an extravert’ condition did enjoy momentary gains in positive emotion, they did not report this benefit in retrospect at the end of the study. Unlike extraverts, they also did not show momentary gains in authenticity, and in retrospect they reported lower authenticity. The ‘act extraverted’ intervention also appeared to increase introverts’ retrospective fatigue levels and experience of negative emotions. 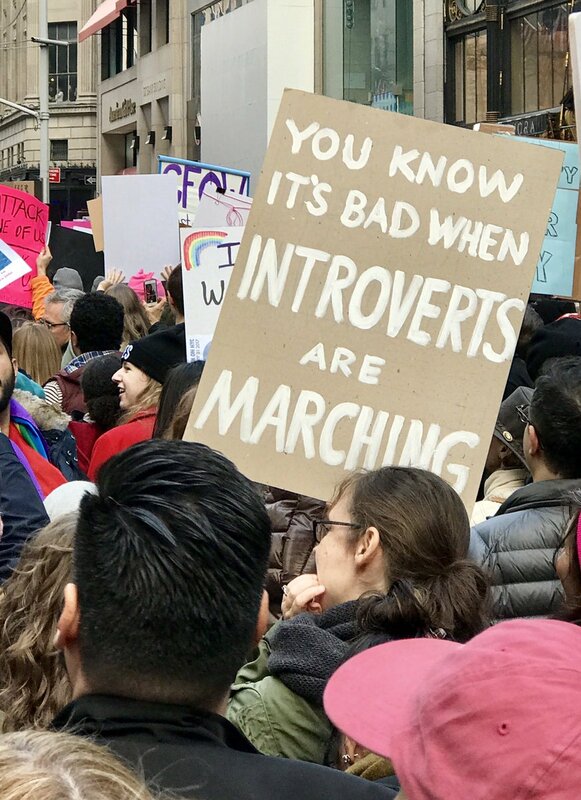 Jacques-Hamilton and his team said that these were perhaps their most important findings – ‘dispositional introverts may reap fewer wellbeing benefits, and perhaps even incur some wellbeing costs, from acting more extraverted’. They also made an important point that strong introverts might not desire to experience positive emotions as frequently as extraverts. However, the idea that introverts could gain from learning to be more extraverted, more often, is not dead. Not only because this is just one study and more research is needed, but also because those acting more extraverted did, after all, still report more positive emotions in the moment than the control group asked to maintain calm. This group’s failure to report more pleasure in retrospect could, after all, reflect a memory bias – perhaps mirroring earlier research, which showed that introverts do not expect that acting extraverted would make them feel good. Also consider this: the one-size-fits-all extraversion intervention provided little guidance on how exactly to achieve the aim of acting more extraverted. It’s possible that a less intense version, together with support and guidance to make any behavioural changes become habitual (and therefore less effortful), could help even strong introverts enjoy the benefits of acting more extraverted. ‘By allowing more freedom to return to an introverted “restorative niche”, a less intensive intervention might also result in fewer costs to negative affect, authenticity and tiredness,’ the researchers added.